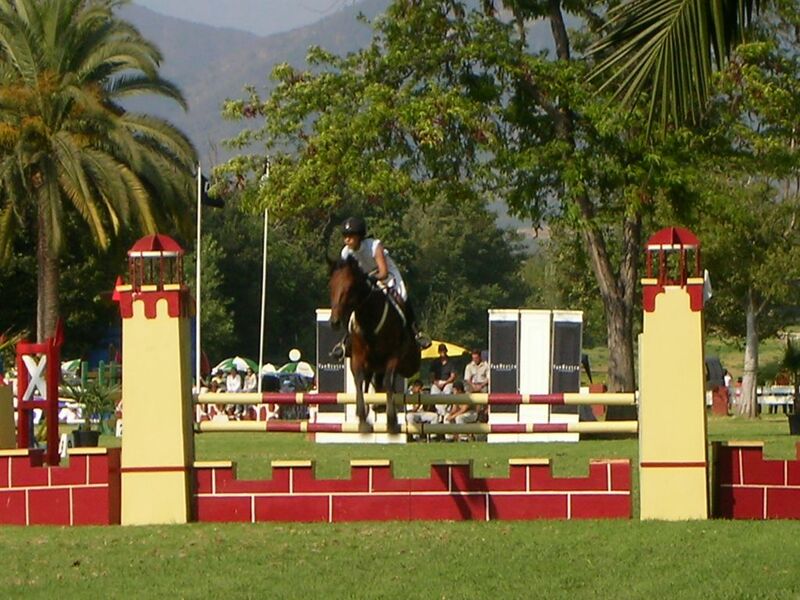 This weekend, I had the chance to watch a full equestrian competition, that included Jumping and Polo. As I told you before, I love horses and would love to have the skills to practice this sport. The event took place in Quillota, a city located 120 Km northwest from Santiago, where I went for some days for work. Quillota is well known for its plantations of avocados and cherimoyas. What a gorgeous place! You captured a great action shot. Excellent action shot. It looks like a beautiful spot. I love both avocados and cherimoyas. Guess I'll have to visit there. 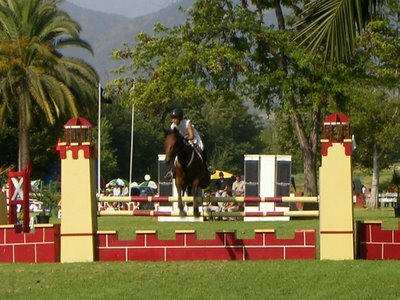 tres belle photo, ce cheval en plein saut d'obstacle, dans un superbe paysage. very beautiful photograph, this horse in full jump of obstacle, in a superb landscape. The BBC used to show all the major UK horse shows, but alas now they don't. I love the action and the colors in this shot--such a great capture! Nice action shot. I don't know if your camera has any type of manual control, but a slightly shorter shutter speed would been ideal to freeze the action.